ETFs are essentially index funds that are listed on an exchange and track the price performance of the underlying index closely. The ETF trading value is based on the net asset value (NAV) of the underlying stocks in the target index. E.g., a Nifty ETF will look to replicate CNX Nifty returns. An ETF holds assets such as stocks, commodities, or bonds, and trades close to its net asset value over the course of the trading day. ETFs are popular world over with with less risk and much scope for returns on investment. You can buy and sell an ETF during market hours on a real time basis as well as put advance orders on purchase such as limits or stops. In case of conventional mutual funds, purchase or sale can be done only once a day after the fund NAV is calculated. In case of Nifty ETF, you own the complete basket of 50 stocks and remain diversified. The passive investment style with low turnover helps keep costs low. 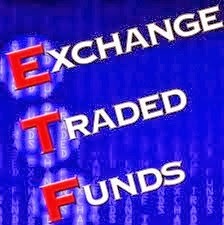 ETFs are known to have among the lowest expense ratios compared to others schemes. The underlying securities are known and quantities are pre-defined (In case of conventional mutual fund schemes, one needs to wait for the monthly factsheet). No form filling is required if you transact in the secondary market. Investment can be made directly from the fund house or the exchange. ETFs are a great tool for investors wanting to start with a small corpus. The minimum ticket size is 1 unit (in case of IIFL Nifty ETF, 1 unit is approximately 1/10th of Nifty level, i.e Rs500, when Nifty is at 5000). Premium and discount also tends to be higher in the futures segment, than in ETFs. Investors can take advantage of special rates for short term and long-term capital gains. Fund houses do depend on market makers and arbitrageurs to maintain liquidity to keep the price in line with the actual NAV. Any investor wanting an exposure to a particular target index like Nifty will do well by investing in ETFs. The objective of ETF is to be the index rather than beat the Index. Investing in sectoral ETFs is prone to higher volatility compared to key benchmark ETFs like Nifty. Investor will have to bear the cost of brokerage and other applicable statutory levies e.g, Securities Transaction Tax, etc, when the units are bought or sold on the stock exchange. Invest in ETFs and reap the benefits without worrying about the hassles of individual stocks..